In order to be admitted as a doctoral candidate at Delft University of Technology, you must first find a professor from TU Delft who is willing to act as your proposed promotor (supervisor). If you would like to do your PhD on a topic in the area of design for values, we recommend you to check the DDFV member page to find a suitable promotor. Subsequently, the research topic should be decided on. You will also need to obtain a source of funding for your PhD project. Another possibility is to apply to a vacancy for a funded PhD position on a specific topic. Please regularly check the TU Delft vacancy website to find available positions. Below some examples of doctoral dissertations in the area of design for values which have in the past years been successfully completed at Delft University of Technology. Artificial illumination has had profound and far-reaching impacts on the development, use, and perceptions of urban nights, and has brought with it many benefits. However, in recent years its adverse costs and effects – commonly referred to as light pollution – have emerged as a topic of concern. Nighttime lighting uses enormous amounts of energy, costs billions of dollars annually, can be detrimental to the health of humans and ecosystems, and cuts off access to a starry night sky. Addressing these impacts, and more fundamentally understanding the underlying values shaping contemporary discourse, is a complex and pressing challenge with moral, aesthetic, political, and technical dimensions. This dissertation takes up this challenge by offering a critical examination of the historical roots and normative presuppositions shaping the concept of light pollution. This critique leads to the proposal of an alternative normative framework: instead of focusing on reducing lighting, it argues for fostering darkness in urban nightscapes. 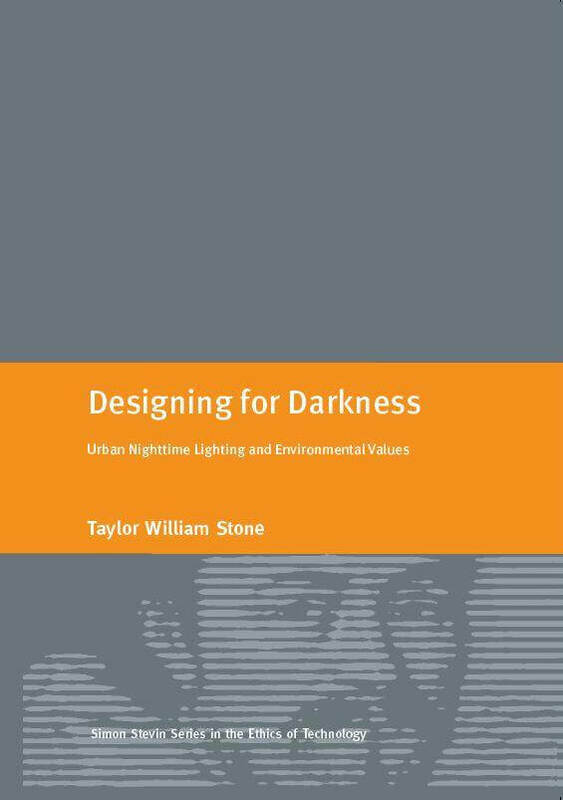 A designing for darkness approach is developed on two interrelated levels. The first is conceptual, exploring the relationship between darkness, illumination, and environmental values. The second is practical, proposing first steps towards realizing darker nights via the responsible design of new and emerging technologies, namely LEDs and autonomous vehicles. Taken together, the chapters of this dissertation weave together a critical investigation and constructive contribution to a pressing urban challenge for the 21st century. The value that this thesis is pursuing is that of “legibility.” This should not exclusively be understood in usability terms or as “transparency.” Instead this thesis is motivated by questions of how to make technologies more accessible to the people who are making use them, to promote agency, and understand-ability of them. This fundamentally is about using design in order to promote avenues to empower people in their relationship with their technologies. This is motivated by attaching a greater value to shaping the role that these technologies play in our society. Today, the world is populated with what we colloquially refer to as “black boxes.” These are technologies that perform sophisticated operations but obfuscate these complex operations, providing us with little context to what they do, how they work, and the role they play in our lives. In simple terms, this thesis addresses the following broadly framed questions: what parts of these black boxes should be made legible to the layperson? And regarding these parts: how can design be harnessed to reframe them as legible? To approach these questions, this thesis is scaffold by philosopher of technology Albert Borgmann’s framing of this particular dynamic between people and black boxes, which he refers to as the “device paradigm” (Borgmann 1984). He explains that as technologies become more complex, we disburden people of that complexity by obfuscating it with design. As a result, we have limited modes of engagement with these technologies and thus also our understanding of how the ends of the technology (e.g., the outcome of the technology’s use) are related to its means (e.g. the aspects of the technology responsible for the way it works). When our modes of engagement and understanding are limited, we become less aware of the role of the technology plays in our lives. As a repercussion, Borgmann argues, we can become over-reliant on that technology, and find ourselves more likely to over-consume it. The device pattern is becoming increasingly problematic in the context of our contemporary technologies, which we imbue with even more autonomy and networked capabilities such as with artificial intelligence. The implications of the illegibility behind how technologies work becomes more significant, such as with algorithms that tailor news items to what it deems to be relevant to you, but perhaps not reflective of reality. Borgmann suggests however that the device paradigm can be reformed with focal things and practices (FT&P). In contrast to the device paradigm, FT&P draw on human engagement, and make the relation between the ends and the means legible to people. 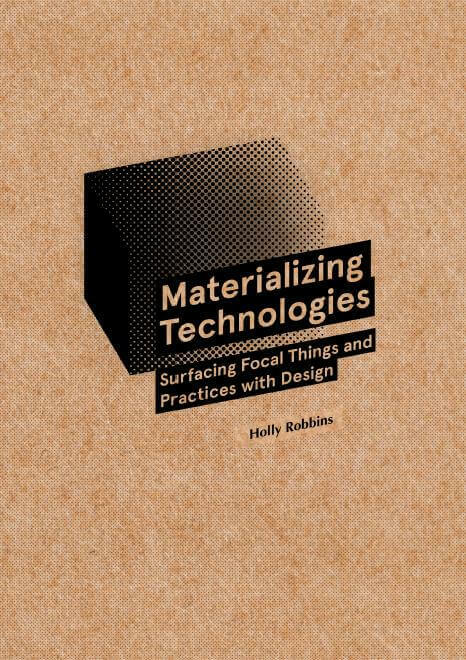 Specifically, this thesis makes inquiries into how design can surface technologies as FT&P. One of the more notable technologies to enter and affect everyday life is information and communication technology (ICT). Since the twentieth century, ICTs have had a considerable impact on many aspects of everyday life. This impact on individuals and society is rarely neutral; ICTs can have both desirable and undesirable consequences — ethical implications. One field of computing in particular envisions computing technology permeating everyday life. This field, known as Ubiquitous Computing or Pervasive Computing, aims to integrate computing technology seamlessly into the physical world and everyday life. This pervasiveness has the potential to amplify pervasive computing’s ethical implications. Human values such as social well-being, privacy, trust, accountability and responsibility lie at the heart of these ethical implications. With a technology already so deeply intertwined with so many aspects of everyday life, it is increasingly important to consider the human values at stake. This raises the question of when and by whom these values should be considered. Design plays a key part in shaping Pervasive Computing technologies’ ethical implications. During design, alternatives can still be chosen, and consequences can be pondered (and pursued or avoided) before they play out. That is why it is vital to consider the values at stake in pervasive computing during design, rather than after it. In Pervasive Computing design, most attention goes toward tackling technical challenges rather than addressing ethical issues. While designers in this field may know about some of the ethical implications of pervasive computing, they often lack the training or familiarity with techniques to deal with such issues. 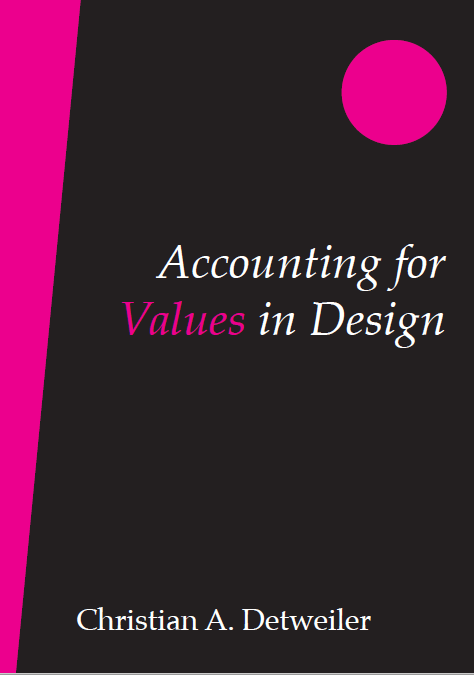 Over the past 20 years, Value Sensitive Design (VSD) has been developed in an attempt to provide an approach to dealing with values in design. 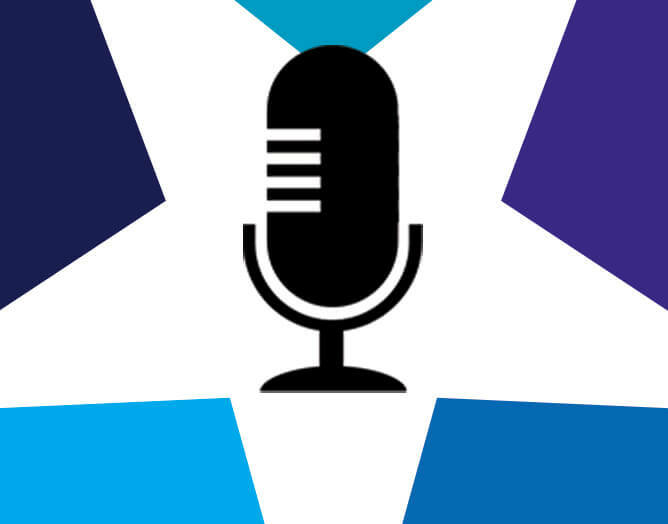 VSD succeeds in integrating ethics with actual design in the sense that it provides techniques that help identify, conceptualize and consider values, and related concepts and issues, during the design process. With regard to design and development, VSD places considerably more emphasis on activities related to analysis than on activities related to implementation. With little concrete guidance on how to translate knowledge of values issues to technological features, there is a risk that the knowledge gained does not influence the design to the fullest possible extent. Addressing these issues calls for an expansion of VSD’s methods and techniques. More specifically, it calls for techniques to uncover and analyze the mechanisms through which Pervasive Computing’s constitutive technologies (and the design alternatives that incorporate them) affect human values. The overall objective of this work is to expand VSD’s conceptual, empirical and technical investigations with techniques that make explicit how Pervasive Computing technologies affect human values. To meet this overall objective, we aim to provide techniques with which to analyze how existing Pervasive Computing technologies affect various types of values: explicitly supported values, stakeholder values and designer values. We also aim to provide techniques with which to elicit the various types of values on which these analyses focus. Finally, we aim to provide methods to capture the knowledge that results from these analyses in ways that help guide Pervasive Computing design in accounting for values. Online web services such as Google and Facebook started using personalization algorithms. Because information is customized per user by the algorithms of these services, two users who use the same search query or have the same friend list may get different results. Online services argue that by using personalization algorithms, they may show the most relevant information for each user, hence increasing user satisfaction. However, critics argue that the opaque filters used by online services will only show agreeable political viewpoints to the users and the users never get challenged by opposing perspectives. Considering users are already biased in seeking like-minded perspectives, viewpoint diversity will diminish and the users may get trapped in a “filter bubble”. This is an undesired behavior for almost all democracy models. In this thesis we first analyzed the filter bubble phenomenon conceptually, by identifying internal processes and factors in online web services that might cause filter bubbles. Later, we analyzed this issue empirically. We first studied existing metrics in viewpoint diversity research of the computer science literature. We also extended these metrics by adding a new one, namely minority access from media and communication studies. After conducting an empirical study for Dutch and Turkish Twitter users, we showed that minorities cannot reach a large percentage of users in Turkish Twittersphere. We also analyzed software tools and design attempts to combat filter bubbles. We showed that almost all of the tools implement norms required by two popular democracy models. We argue that democracy is essentially a contested concept, and other less popular democracy models should be included in the design of such tools as well. Innovative engineering design shapes the development of novel technologies and is ethically as well as socially relevant, because it affects what kind of possibilities and consequences will arise. A major challenge in engineering design work on innovative technologies is the multitude of uncertainties in the form of known unknowns, unknown unknowns, complexities, and ambiguities. The evaluation and generation of design concepts are general and essential parts of the design process in which value-laden considerations play a role. 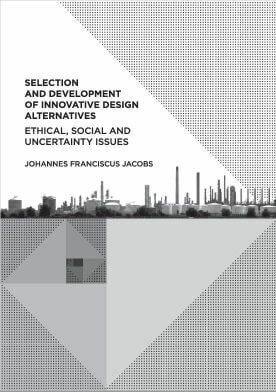 In order to contribute to the adequate dealing with social and ethical issues in innovative engineering design practice, this study has focused on the selection of the ‘best’ design concept taking into account ethical and social issues in the early design stages and the development of ethically and socially acceptable design concepts which are ‘robust’ with respect to relevant uncertainties. In the current literature little to no attention has been given to the way ethical and social issues can be addressed in innovative engineering design, therefore, an exploratory research approach has been employed to investigate this unexplored area. In a critical methodological analysis on frequently applied selection tools, it was found that the information availability in innovative design is the main limitation for calculative decision making methods that aim to support judgement formation. The faced uncertainties in engineering design restrict the tools in such a way that they produce incoherent outcomes, if used to choose a winning design concept. In the subsequent exploratory ethnographic studies the practical application of these selection tools was investigated. The results show that the design engineers use decision tools to support their value-laden judgement formation, but that the tool does not prescribe or describe the selection, so avoiding the identified methodological limitations of this kind of tools. In order to consider value-laden design criteria in the evaluation process, design engineers would be assisted by clear performance measures. The results indicate that current index methods, like the Fire and Explosion Index, do not provide adequate measures that are directly applicable in the selection of the ‘best’ design concept. Still they provide a good starting point to build upon, if practical considerations of innovative engineering design are taken into account. In a critical literature study, it was investigated what kind of valued laden aspects play a role in the development of design alternatives in the innovative field of nanotechnology. This literature study grounds the investigation into the development of design concepts that are robust with respect to the uncertainties that surround innovative design work. It indicates that approaches for robust and innovative engineering design work require plasticity towards specific applications and time scales of possible effects. Subsequent exploratory ethical inquiry indicates that existing approaches to address social and ethical issues, such as the Twelve Principles of Green Chemistry, can be adapted to new and innovative areas of engineering by abstraction and successive tailoring to the specific application. Design engineers can further be supported in the development of robust designs by approaches that allow for the evaluation of moral acceptability of design concepts under uncertainty. In this thesis it is shown that the moral acceptability can be evaluated by conceptualising the application of the designed artefact as a social experiment that needs to meet four normative conditions (absence of alternatives, controllability, informed involvement, continuous re-evaluation), and that such an evaluation is fruitful for innovative engineering design. All in all, it is concluded that design engineers can deal with social and ethical issues under uncertainty that is typical of innovative design by forming design judgement with the help of proper selection tools and development approaches in order to design a robust artefact that is adaptable in its configuration, flexible in its functioning, resilient to design assumptions, and resistant to changing circumstances. This thesis concerns specifically the discipline of product design, and the main question is how can designers be supported in understanding the culture of their intended users. The reason for this study is that designers are experiencing difficulties and uncertainties with regard to their intended users, as these users live in cultures with which the designers are not familiar. By means of an extensive series of empirical projects, this thesis explores the concept of culture in the context of design. It proposes a framework (based on socio-cultural dimensions) and a tool (a set of cards) that help designers to become aware of possible cultural barriers with respect to participatory design research as well as to design. In addition, the study describes the opportunities (including five intentions) for a culture-conscious approach to design. Part 3 compares design to more common interventions that seek to stimulate pro-social behaviour, such as signs or text. We expected that design’s implicit influence would be responsible for its behavioural effects. In a field experiment conducted in a school canteen, we tested this hypothesis by comparing implicit influence with explicit influence in changing behaviour, in addition to comparing two types of interventions, i.e., product and text. The studies reported were conducted to gain understanding of how to facilitate the design of original products and services that engender desirable social effects. To stimulate these effects, the designer is encouraged to deliberately direct the implicit influence products unavoidably have. 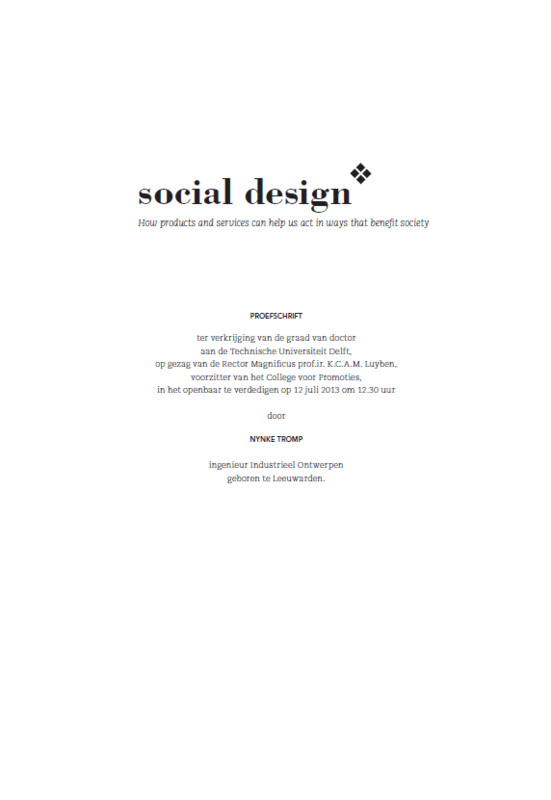 Therefore, the thesis has a clear design perspective, intended to deliver actionable insights for designers. What people are realistically able to do and be in their lives, their capabilities, are of central moral importance according to the capability approach (CA) of Amartya Sen and Martha Nussbaum. Examples are the capabilities to be healthy or to be part of a community. The CA has become an influential normative framework for reflecting on justice, equality, well-being and development. In the past decades it has been successfully applied to areas such as education and health care. Only quite recently have scholars started to use the CA to reflect on technology, for example on the contribution of ICT to development in the South (ICT4D). Much of this work is empirical. 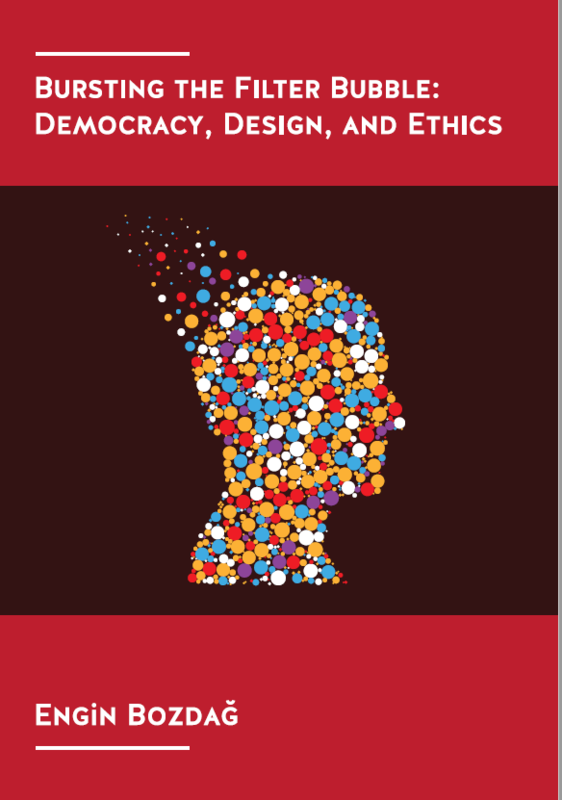 This dissertation contributes to the theoretical foundations for future empirical and ethical work by providing a philosophical exploration of how the CA can be brought to bear on technology. 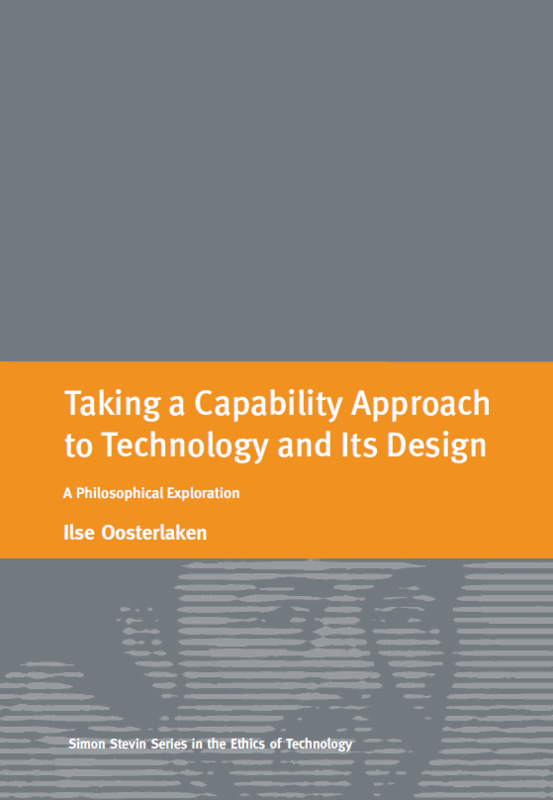 It discusses the applicability and added value of the CA for the design of technical artifacts (‘capability sensitive design’), for the evaluation of technological development projects, and for the assessment of technology from the perspective of the good life. One main question addressed in this dissertation is which technology theories and design approaches could fruitfully supplement the CA, in order to ‘operationalize’ it in this new area. For this purpose participatory design, value sensitive design, the use plan account of technical artifacts, inclusive/universal design, actornetwork theory, appropriate technology, pluralist theories of technology and the system/network view of technology are discussed. Another guiding question is what the exact nature is of (a) human capabilities as discussed in the CA, and (b) technology in the sense of technical artifacts, and how we can then conceptualize the relation between them. It is argued that we need to regularly move back and forth between ‘zooming in’ and ‘zooming out’. The former allows us to see the details of design of technical artifacts, the latter how exactly technical artifacts are embedded in broader socio-technical networks. Both, it is claimed, are crucial for the expansion of human capabilities. Recent advances in information technology (IT) provide us with many new opportunities to develop and shape our identities. On the other hand, IT also seems to impose a logic on account of which our identities appear as determinate, fixed, essentially quantifiable and manageable. This paradox provides the setting for exploring the relation between a “moral” conception of identity and “practical” notion of identity that is implied in IT supported social processes and administrative procedures. Increasingly our opportunities, rights, responsibilities, and accountabilities are determined by the way we are profiled and characterized in IT environments. Individuals are ubiquitously identified and treated on the basis of their identities and profiles. 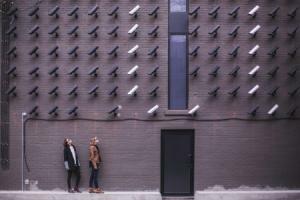 This gives rise to risks such as identity theft, information-based harm, informational inequality, and (data) surveillance, but also to less obvious moral risks concerning individuals and their represented, practical identities or profiles. One of the less obvious risks discussed in this thesis is a lack of identification of the profiled persons with his or her profile. 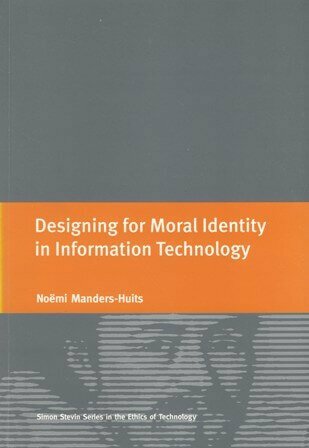 This research provides the conceptual groundwork for the justification of moral claims and considerations regarding identity in relation to identity related claims and considerations regarding identity in relation to identify related information technologies. These considerations can in turn be used for developing the technical requirements for a design of IT applications in light of relevant moral values.